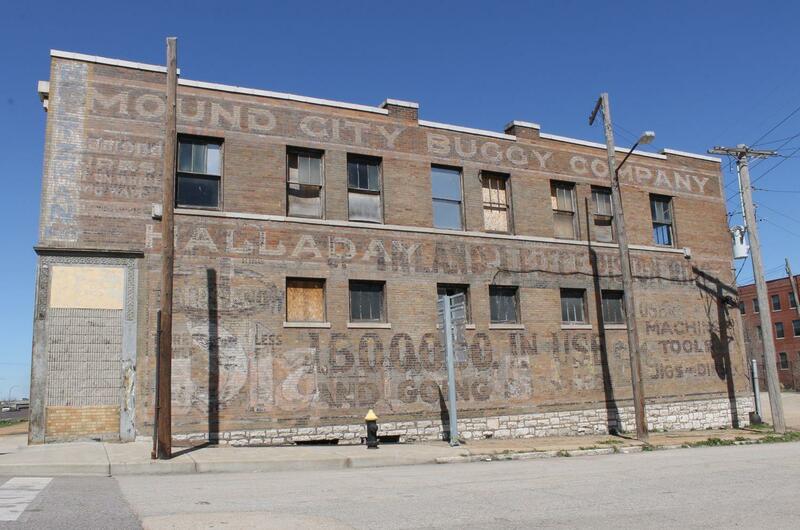 Originally the Independent Brewing Company, this building was built in 1910. 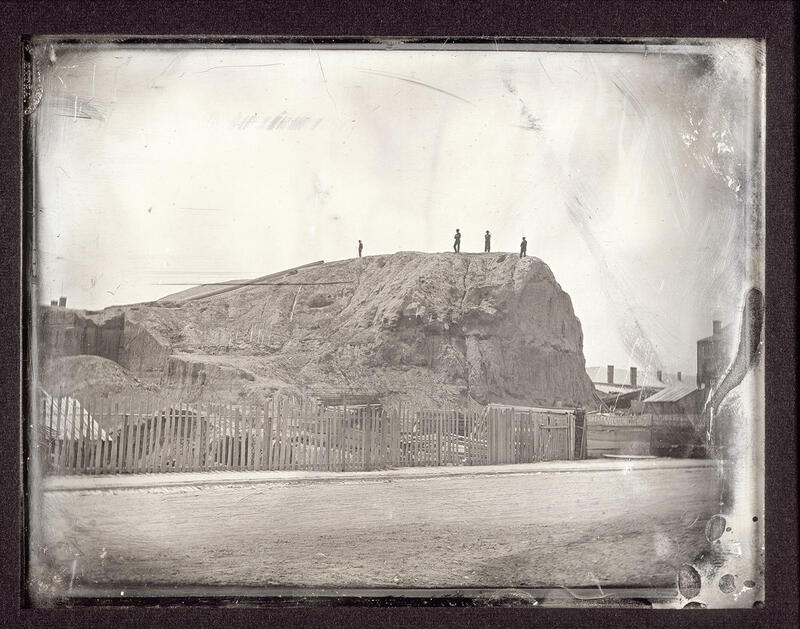 It falls within the planned stadium development, as do what may remain underground of the real St. Louis mounds and the Native American community that built them. The "Big Mound," as it was known, was located north of the proposed stadium footprint, near the entrance of the Stan Musial Veterans Memorial Bridge. It was destroyed in 1869. 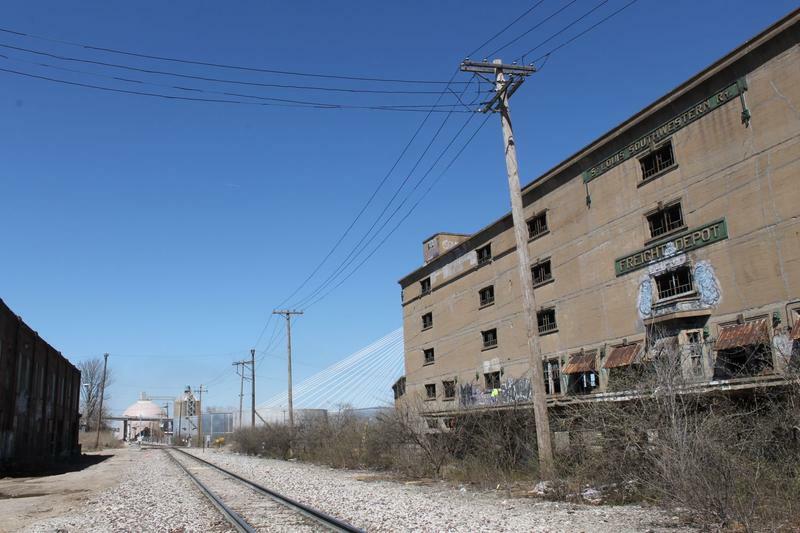 The Cotton Belt Freight Depot building was built in 1911 to unload cotton shipped from the South. It would fall within the footprint of the proposed stadium development. This colorful mural entitled "Migrate" decorates one side of the Cotton Belt building. It is a collaboration between St. Louis-based artists Nita Turnage and Hap Phillips. 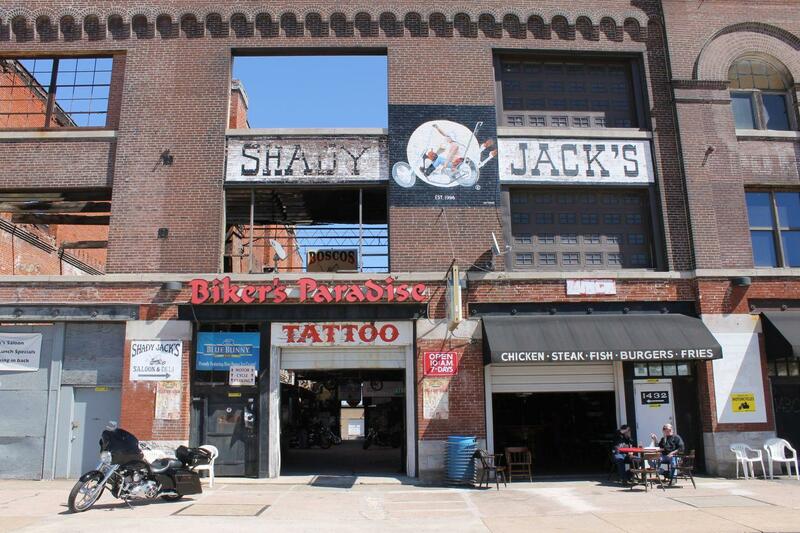 Shady Jack's biker bar on Broadway is one of a handful of businesses operating within the footprint of the planned stadium development. 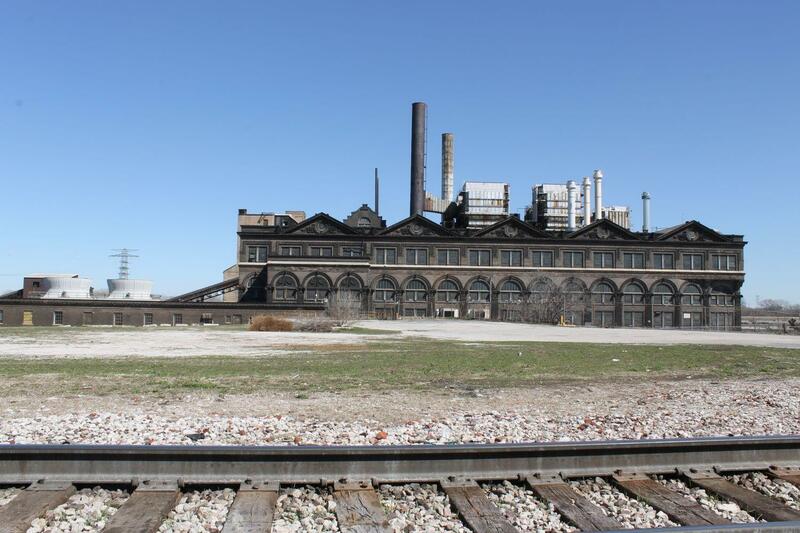 The historic Union Electric Light & Power Company building, now owned by Trigen-St. Louis Energy Corp., is still a working power plant. 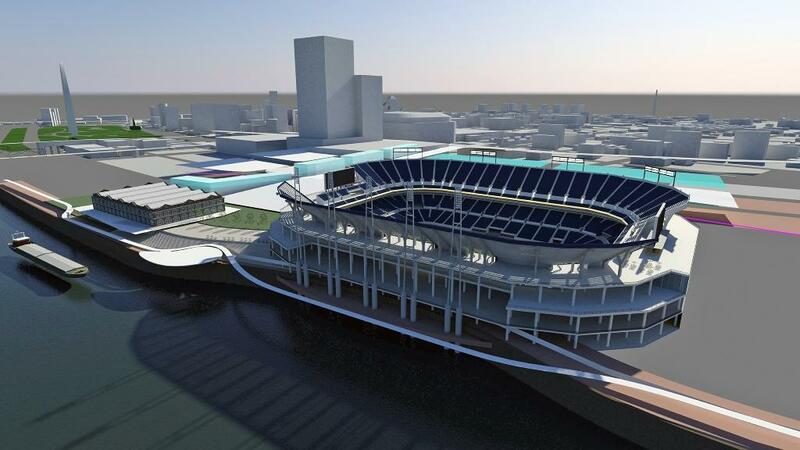 It overlooks the Mississippi in the southeast corner of the planned stadium development. 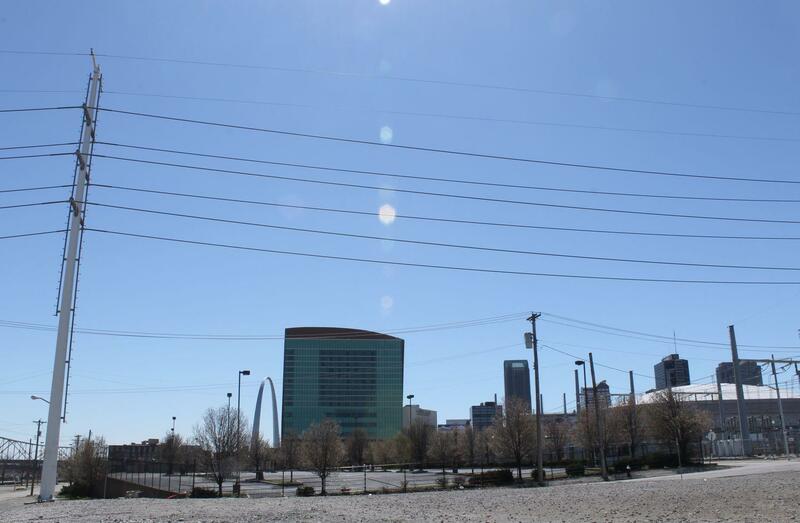 The site proposed for the new football stadium is just a few blocks north of Laclede’s Landing. 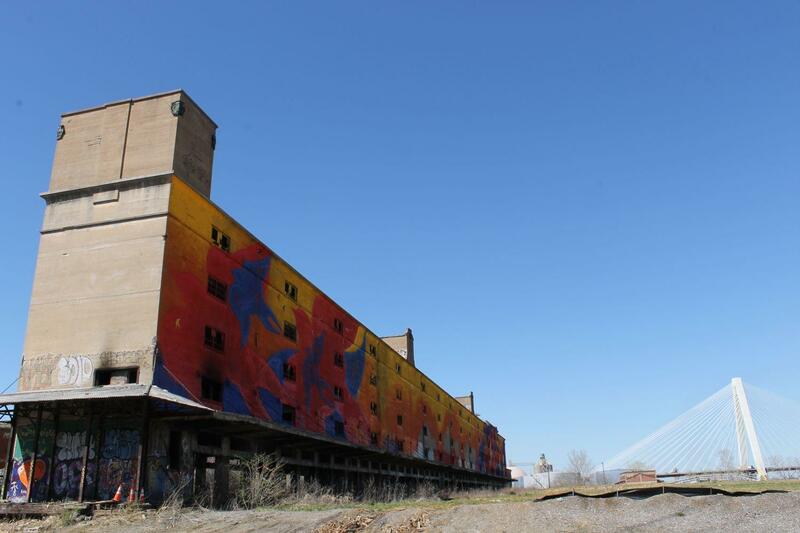 But other than vacant lots, abandoned industrial buildings and a handful of businesses, there is not a lot there. But about 900 years ago, it would have been a thriving Native American town, centered around a vast plaza and about two dozen massive earthen mounds — a lot like its more well-known neighbor across the river at Cahokia Mounds in Collinsville. There is still plenty we do not know about the Native American people who lived on this side of the Mississippi in that prehistoric “Mound City.” Most of the mounds were destroyed by the mid-1800s. And, unlike in Illinois, there has not been much archeology done here to find out what might be left underground. This artist's rendering shows an aerial view of the massing model of the new football stadium, looking southwest. 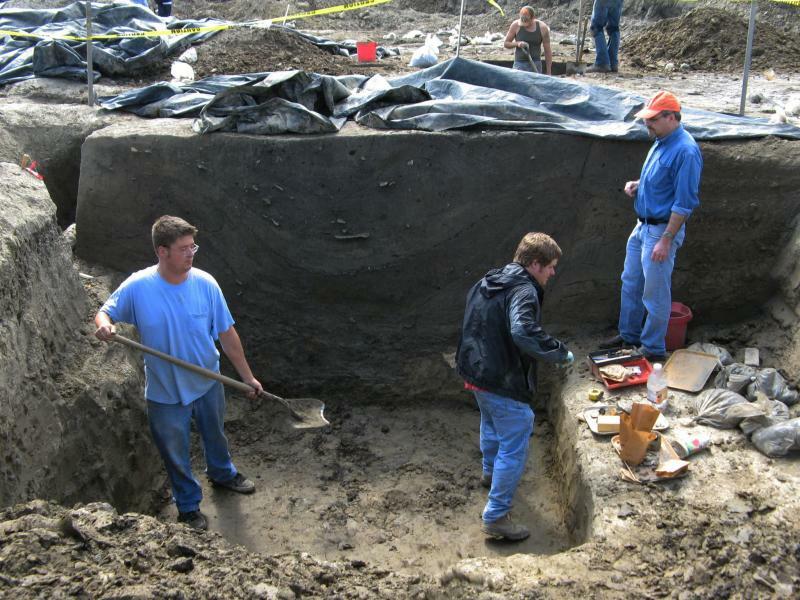 But Joe Harl with the Archaeological Research Center of St. Louis believes that if we were to start digging, we would certainly find Native American artifacts dating back to the time of Cahokia and possibly ancient burial sites as well as human remains. Harl would like to see the developers of the new football stadium pay for some archaeological research before starting construction. But he says on private land, with private funding, they won’t have to. “Only if they are using federal funding or permits, are they required to do archaeology,” Harl said. The current stadium proposal doesn’t include any federal funding or permits. But the plan does rely on state bonds to cover about half of the project’s almost $1 billion price tag. Harl said that would be fine if this were Arkansas, Iowa and Illinois, where it would trigger an archaeological dig. “Unfortunately in Missouri it doesn’t,” Harl said. Harl said he is not against the stadium being built. He just wants whatever is left of the Cahokian-era civilization to be salvaged before the earth movers destroy it. About 900 years ago, this parking lot would have been part of a 540,000 square foot plaza surrounded by large earthen mounds, at the center of a bustling Native American community. 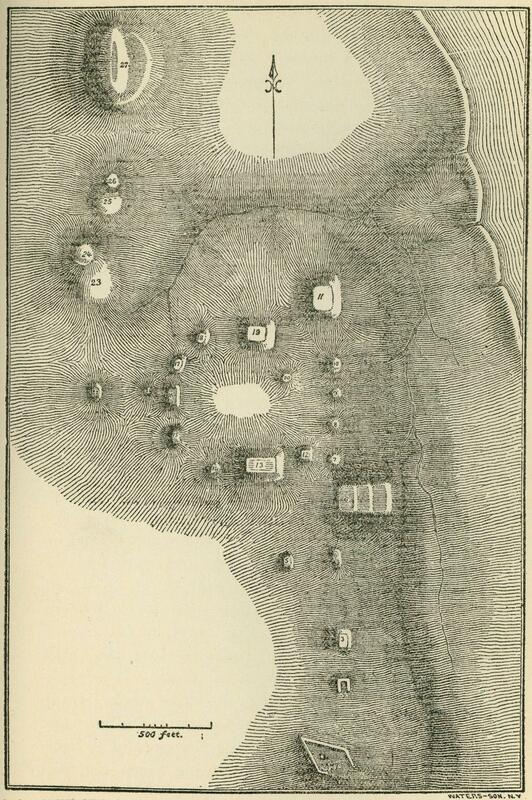 This 1819 survey map by Thomas Say and Titian Peale was reproduced in "Notes on Aboriginal Inhabitants of Missouri," Missouri Historical Society Collections, Volume IV, No. 1, p.89. Nixon’s office and the National Football League did not respond to requests for comment. But speaking to reporters at the planned site of the new stadium in February, the governor made his position clear. Andrea Hunter plans to brief the Osage Nation’s top cultural officials about the stadium at their next meeting on April 10. She says it will be up to them to advise the tribe’s leadership about what to do next. Imagine being able to drive an all-terrain vehicle right up next to a sacred earthen Native American burial mound. 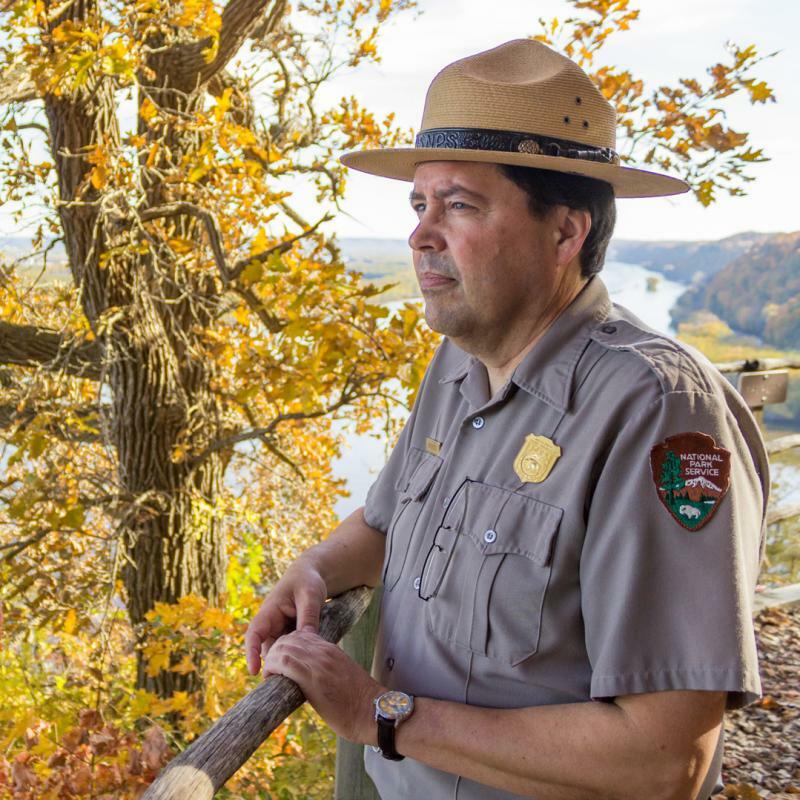 At Effigy Mounds National Monument, you can. 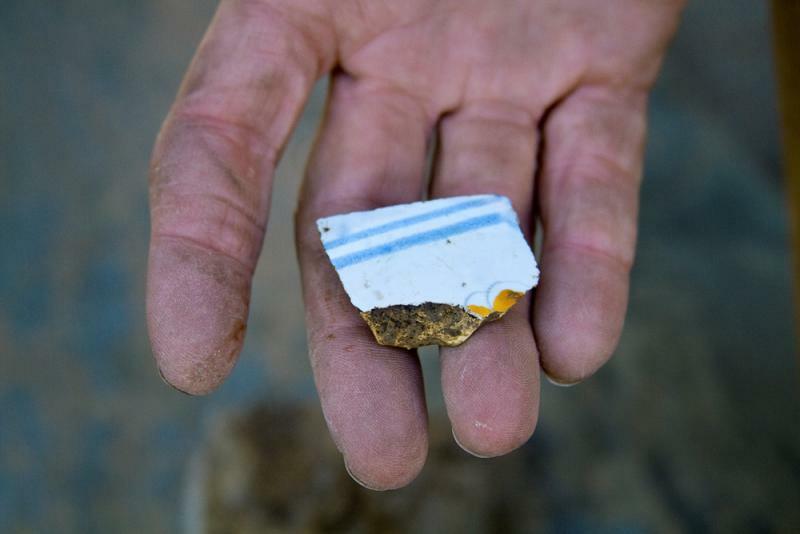 Three million dollars' worth of illegal construction projects went on for a decade at one of the nation's most sacred Native American burial grounds in northeast Iowa. And it happened under the watch of the National Park Service. The park didn't do the proper archaeological studies before installing an intricate boardwalk system that now encircles ancient burial mounds that are shaped like bears and birds. 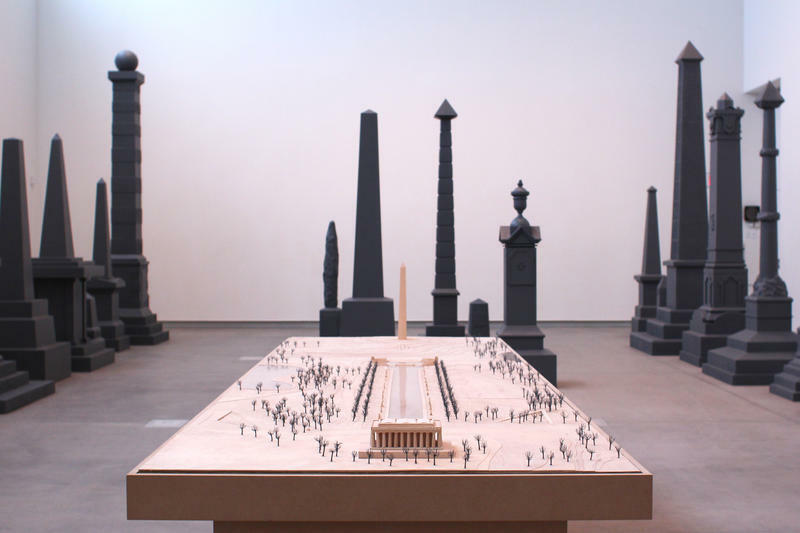 The Kemper Museum is hoping an exhibit of sculptures calling for more monuments dedicated to Native Americans at The National Mall in Washington, D.C., will build community engagement over the issue of Native American representation in American culture. “We really hope to begin a dialogue, taking this work as a point of departure, with the Native American community,” said Kemper director Sabine Eckman. When something new is built, it can sometimes uncover something old. Such was the case with the Stan Musial Veterans Memorial Bridge opening Sunday. 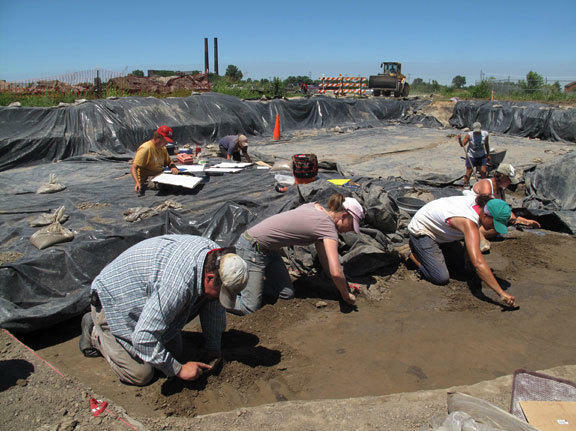 During construction of the new bridge across the Mississippi River, the remains of an ancient American Indian settlement was discovered hidden below East St. Louis. Across the Mississippi River from St. Louis' famous Gateway Arch is a part of Illinois that's a post-industrial wasteland. Some hope the construction of a new bridge across the Mississippi River will help revitalize the area. But archaeologists worry future development could destroy what's left of another neighborhood — one that flourished there almost a thousand years ago.